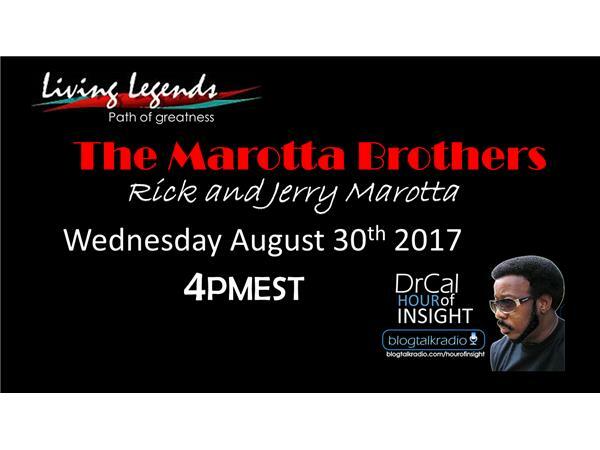 This month our guest on our Living Legends segment is Rick and Jerry Marotta.These two brothers are in high demand and has been on the music circuit for many years as studio musicians and live tour performers.Songwriters etc.Quincy Jones. Steely Dan. The Orleans, James Taylor, are just a small example of who has tapped these brothers for their gitfs in songwriting and percussion and not to mention explosive drum playing. Grammy Winning Music was produced in Jerry's studio alone. Soundstracks for famous shows like ;Everybody Loves Raymond. 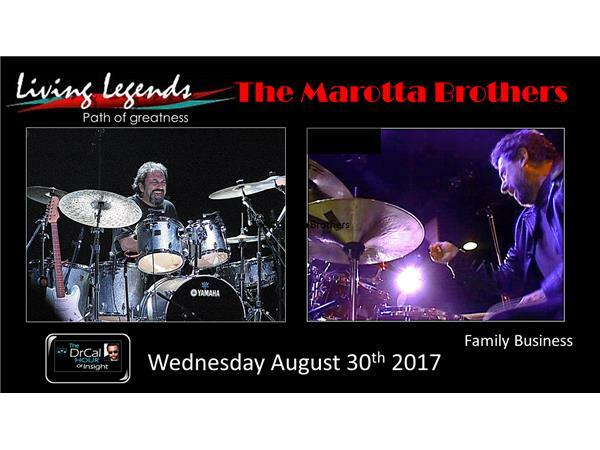 ;The Marotta Brothers mean business and has recently created a band that is presently on tour. 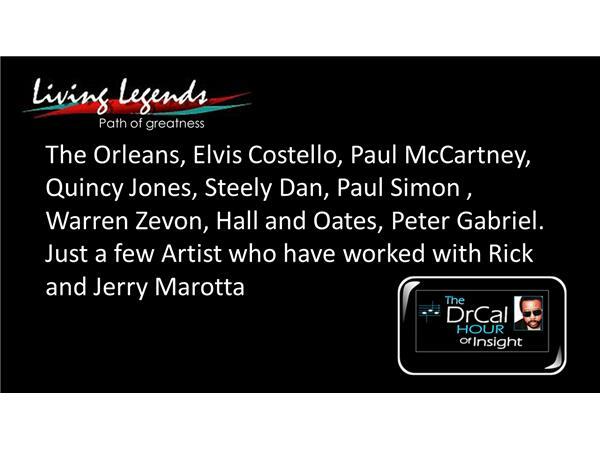 These are the quest on Living Legends with DrCal your host Come walk down memory lane and hear some things that will only be shared on the show. Special Wednesday show @4PM EST .